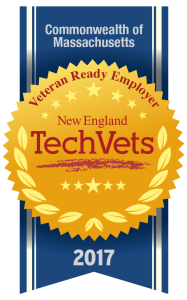 New England Tech Vets (NETV) is a resource that supports U.S. Military Veteran hiring and retention objectives for employers, and is a collaboration of the Massachusetts High Technology Council, Monster, and our clinical advisor Home Base, a Red Sox Foundation and Massachusetts General Hospital program. Supports efforts to heal veterans’ “invisible wounds” of war as they transition civilian life. View additional program details here. Click below to register for “Veteran Ready” Employer Education Program. Click below to register for the NETV Career Portal.